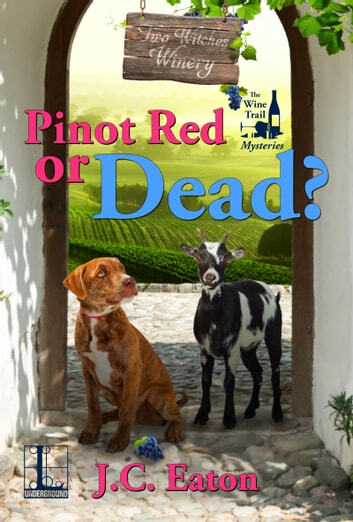 Books related to Pinot Red or Dead? Norrie Ellington and the gang are back! It’s the holiday season in Seneca Lake, NY and the wineries are busy. While Norrie and the team in the tasting room are busy preparing for the seasonal festivities, the wine makers are around the valley are dealing with wine that has been lost. From some wine being hijacked from their distributors truck, to some wine being stolen from the vineyard storage rooms, to wine in the barrels being tainted, something crazy is going on. But things get even crazier when the regional wine distributor turns up dead. No surprise that Norrie gets her Nancy Drew card out and is investigating. Who’s gunning for the wineries and trying to raise the prices of red wine? Who killed the distributor? Can Norrie and the gang figure it out before their number is up? Chaos and hilarity ensues! Love this series and this is the best book to date! I’m hoping Norrie’s sister and husband never come back to run the winery!!!! A Little Madera Mi Dear? No, Make That Pinot Noir!